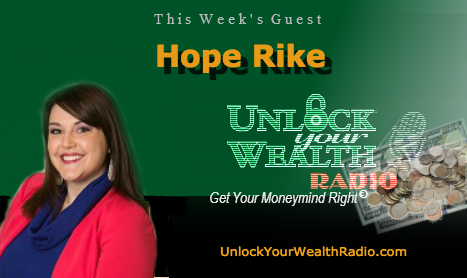 Hope Rike, Elite Matchmaker of It’s Just Lunch reveals money and dating with host of Unlock Your Wealth Radio, Heather Wagenhals. 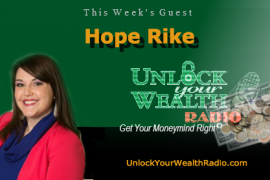 Tune in to this exciting interview as Hope reveals that while money can’t buy you love, singles do need to keep a few financial things in mind when dating — Hope breaks down those expenses and when or better yet, who, you should be investing with your time and money with on your dates. — that includes dinner, drinks, movie tickets, and coffee for two. In this interview Hope reveals how complicated dating gets when it comes to money, expressing the costs of a date and what singles should financially consider before asking someone out. You will also find out how to land a second date and spot a keeper, as we are most attracted to those who are within our own financial comfort zones. 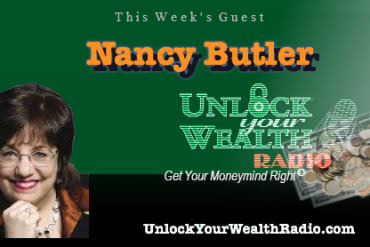 Get the breakdown of all money and dating right here on the Unlock Your Wealth Radio show as we reveal those awkward moments of how do you go about deciding who should pay for the check or if you should split it– eek! Tune in to find out the best way to balance love and money as Hope reveals when to talk about finances with your date and how many dates it will take until you bring up the “financial” discussion. Hope’s years of experience as a matchmaker have resulted in dozens of marriages and hundreds of great dates. Working with upscale busy clients, she respects her client’s limited free time and understands the importance of discretion and confidentiality. Instilled with a natural gift for connecting with her clients, Hope understands dating goals and is successful in helping her clients to achieve them.